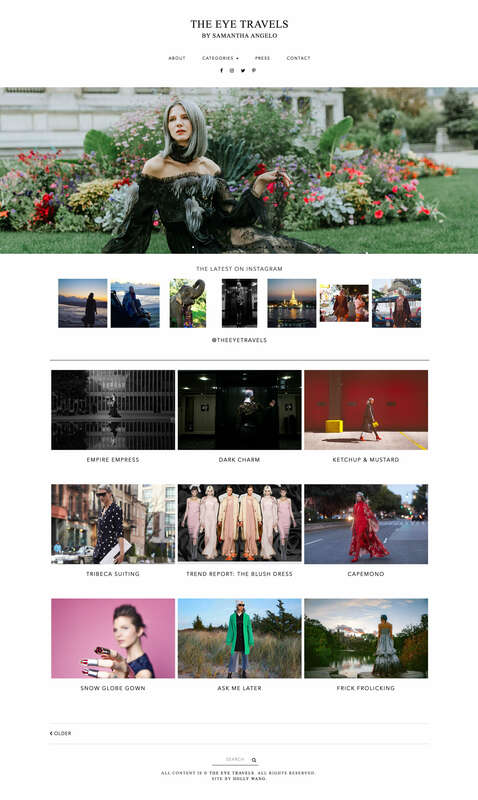 Samantha's editorial fashion website, The Eye Travels, was created to merge the functionality of a portfolio and blog. I designed the desktop experience to be more of a traditional portfolio, a way to showcase her styling and editorial photos. Meanwhile, I designed the mobile experience to be more similar to a straightforward blog for her social media followers who like to shop her posts. I also migrated her content from Blogger to a self-hosted WordPress. I've also helped Samantha with technical support, and WordPress, Photoshop, and SEO tutorials. I have been working with Holly Wang for about two years on my editorial fashion website, www.TheEyeTravels.com. Holly has done a fantastic job of creating my vision of how I want the site to look and function. Holly has also designed my mobile site as well. Not only has Holly been professional when working on the site, she executes on everything we discuss and brings ideas to life. Holly has also taken time to explain and teach certain areas and applications involved in the platform and has done this in a very understanding and patient manner. I would highly recommend Holly as a web designer and creative, and consider her a valuable asset to any design community.